General Electric's stock is outperforming the market so far in 2019. I believe that the management team is making significant progress toward turning around this storied industrial conglomerate. However, more work still needs to be done. I am long General Electric, and I plan to stay long the stock. 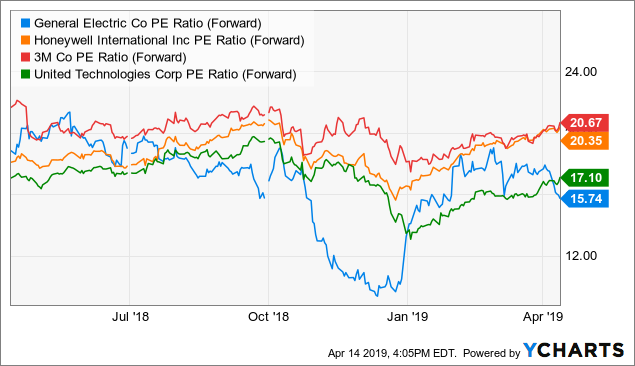 General Electric's (GE) stock has been extremely volatile over the last three years, and nothing has changed over the first three-plus months of 2019. 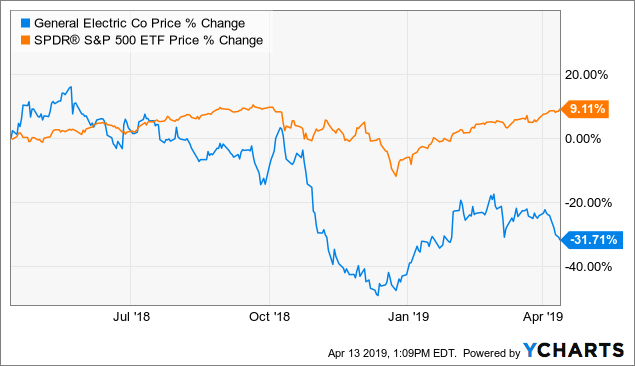 GE's shares have outperformed the S&P 500 (SPY) so far in 2019 (18% vs. 16%, respectively), but the industrial conglomerate's stock price is still significantly lower than it was a year ago. Investors were extremely bullish after management talked up the company's prospects in early 2019 (notice the steep climb in January), but the bears quickly took back control, with the most notable example being JPMorgan's Stephen Tusa recently lowering his 12-month price target to $5.00 (from $6.00). Simply put, sentiment was improving until, of course, Mr. Tusa rained on the parade. Near-term stock pressure is a hard pill to swallow, but, in my opinion, investors with a long-term mindset will be rewarded once Mr. Larry Culp, CEO, and team are finally able to turn the ship. But it's important to note that the turn is actually already occurring. I have long believed that GE's turnaround story would take years instead of months to play out, and I still believe this to be the case today. However, Mr. Culp has made some significant changes since he took over for Mr. John Flannery in late-2018 and, in my opinion, the company's current business prospects have materially improved over the last six-plus months. In February 2019, GE finalized its uniquely structured deal to merge its Transportation assets with Wabtec (WAB). Additionally, the company announced a deal to sell its biopharma business to Danaher (DHR) for $21.4B. In March 2019, it was announced that GE is exploring a renewable energy JV sale in a deal that could be valued around $1B. In April 2019, GE completed the sale for part of its Lighting business, Current, to a private equity firm for an undisclosed amount. And consider this; the list above does not include all of the restructuring efforts that have been announced over the first four months of 2019. Moreover, one of the transactions/deals alone is not enough to move the needle (however, someone could make the argument that the biopharma deal is a needle mover), but, in my opinion, this list is material if you consider all of the moving pieces. The GE of today already looks very different than it did a few short months ago, which is a good thing. Additionally, there are already rumors that GE will sell off parts of its Power business, rumors that I believe will come to fruition, so investors should expect more of the same in 2019/2020. Plus, let's not forget that management already announced its intentions to sell off the Wabtec and Baker Hughes (BHGE) stakes in the future. The company conducted a deep dive into its insurance business and announced that the long-term care reserves are sufficient. The insurance reserves have been a major sticking point for a lot of the bears since GE previously announced plans to build its reserves to the tune of almost $15B. While nothing is etched in stone yet, I am encouraged that the company removed some uncertainty by announcing the adequacy of the reserves. In addition, it appears that management is finally being proactive when it comes to the long-term care business which should bode well from a risk management perspective. Additionally, a UBS analyst recently released an investor note that described GE's pension situation as not as bad as some might think. Of course, this comes after the company already committed to additional pension contributions over the next few years, but I agree with the analyst in that GE's pension "situation" is not as dire as some would have you believe. And more recently, GE agreed to pay $1.5B to settle the long-standing claims related to financial crisis-era subprime mortgage wrongdoings. Management touted this settlement as "another step in our ongoing efforts to de-risk GE Capital". I tend to agree with management and, in my mind, there have been many steps already taken since Mr. Culp took over. How should shareholders view all of these changes? To me, the announced/closed transactions show that management is finally serious about changing the direction of this storied industrial conglomerate (and yes, "industrial" is finally a fitting identifier for this company). Moreover, not mentioned in this article is the fact that GE's board looks very different than it did at the end of fiscal 2017. For example, seven of the 10 GE directors being nominated this year are new to GE in the past two years and the two longest-tenured board members (Mr. Jim Mulva and Mr. Geoff Beattie) are set to retire in 2019. This is exciting news because in my opinion the board failed shareholders in a major way over the last five-plus years. GE's turnaround will definitely take time, but, if you ask me, the turn is already occurring. Mr. Culp without a doubt still has some work to do, but I believe that the company's current state is significantly better than it was at this point in time in the prior year. When you consider GE's current valuation, the stock is trading at a deep discount when compared to its peer group, and rightfully so. What all is priced into the stock? That's a great question. I believe that there will likely be more negative developments over the next few quarters, so a better entry point is likely to present itself. However, in my opinion, the stock looks attractively valued the further you look out. To this point, Julian Mitchell from Barclays recently reiterated his Overweight rating and $13 price target based on the fact that GE's future looks bright (2021 in this case). Downside risks: (1) The company has significant additional fines related to the DOJ/SEC investigations, (2) Power takes longer than 18-24 months to recover and burns through cash, (3) management has a fire sale and disposes of assets at rock-bottom prices, (4) the company's credit rating hits junk status, and (5) additional insurance reserve charges are booked. Upside risks: (1) The spins (Transportation, Healthcare, and Baker Hughes) bring in more capital than anticipated, (2) the pension deficit shrinks as a result of the positive tailwinds, (3) well-known investors put money to work in GE, which leads to a positive change in sentiment (e.g., Mr. Warren Buffett), and (4) Mr. Culp continues to win over the market. Opportunity cost definitely needs to be considered when evaluating GE as a potential investment, but if you are not a "professional" that needs to meet (or beat) quarterly benchmarks, investing in these types of turnaround stories can reap great outsize gains if you are willing to underperform the market for a period of time. I cannot say with any certainty that GE's stock will outperform the market over the next 12-18 months (I would be naive to even think that there is any certainty in the market), but I do believe that shares are attractively valued if you are willing (and able) to hold onto the stake for the next five years. Yes, the turn is already occurring, but GE is still a 3-to-5-year story. However, I believe that this industrial conglomerate is a great, long-term investment, if it meets your risk/return profile. Disclosure: I am/we are long GE, BHGE. I wrote this article myself, and it expresses my own opinions. I am not receiving compensation for it (other than from Seeking Alpha). I have no business relationship with any company whose stock is mentioned in this article. Additional disclosure: This article is not a recommendation to buy or sell any stock mentioned. These are only my personal opinions. Every investor must do his/her own due diligence before making any investment decision.